Dortmund - The news that Neven Subotic could miss the rest of the season with a knee injury may have represented a considerable blow to Borussia Dortmund coach Jürgen Klopp, but the 46-year-old has plenty of options up his sleeve. 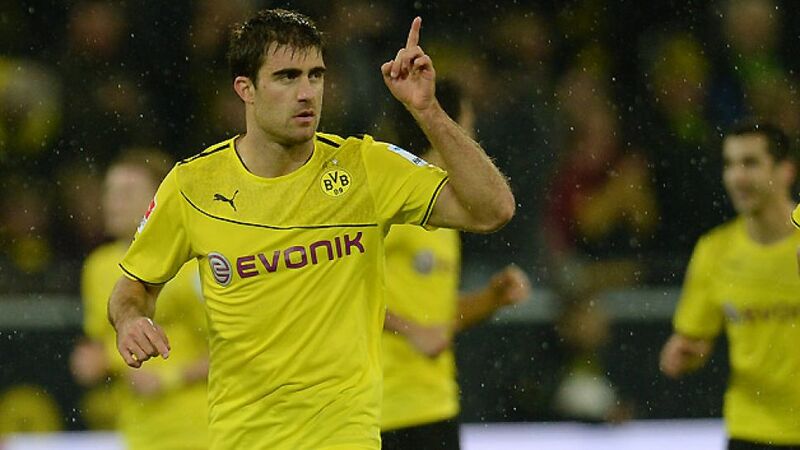 Greece international Sokratis, signed in the summer from SV Werder Bremen, looks set to replace Subotic in BVB's vital upcoming games against FC Bayern München and SSC Napoli, while former Germany centre-back Manuel Friedrich joined the five-time Bundesliga champions for a trial on Tuesday. Friedrich, 34, could prove the perfect fit for die Schwarz-Gelben. Having played under Klopp at 1. FSV Mainz 05, he will be familiar with the current BVB coach's attacking philosophy and shouldn't need too much time to settle in. Klopp is certainly an admirer of Friedrich's qualities but, as the left-footed centre-back hasn't played a competitive match since the final day of last season, question marks remain over his fitness. "He has a lot of experience and he's a classy defender," said Klopp. "Now it's all about him finding his form. He's basically got it all – he's a great footballer, his build-up play is good and I believe he's got the physical ability to get back into shape quickly." Though Klopp's charges have only conceded eleven goals so far this season - two fewer than they had after 12 games in 2012/13 - the Westphalians have looked extremely vulnerable from set-pieces this term, having conceded three goals from free-kicks and two from corners in the current campaign. The absence of 1.92-metre tall Subotic is unlikely to help their frailties from dead-ball situations, but there is enough evidence to suggest that Sokratis and Friedrich have the ability to fill the void left by the 24-year-old. Both players are exceptionally strong in the air and have, in fact, won more aerial duels during their careers (67.7 and 70.5 per cent respectively) than either Subotic (63.5) or Mats Hummels (66.9). Although Hummels is widely regarded as the more creative of the two defenders, Subotic has played far more long balls (1,253) than Hummels (906) during his career, suggesting that the Serbia international's absence may also be felt in BVB's attack. However, the imminent defensive reshuffle could help Dortmund in the long run. Klopp's team have the chance to close the gap to table-toppers FC Bayern München to a single point when the two sides face each other on Matchday 13 of the Bundesliga. If they can repeat their heroics of the at Signal Iduna Park a week on Saturday, this latest setback may seem like a distant memory to the Dortmund coach.